Now we panic about the Senate maybe not approving the Murray-Ryan budget. Democrats were surprised when one of McCain’s like-minded colleagues, Kelly Ayotte of New Hampshire, announced she would oppose the bill, given she — along with McCain — had traveled the country last year warning of the dangers of the sequestration cuts to national security and was furious about the October government shutdown. “I cannot support a budget agreement that fails to deal with the biggest drivers of our debt, but instead pays for more federal spending on the backs of our active duty and military retirees — those who have put their lives on the line to defend us,” Ayotte said. With Ayotte’s vote no longer in play, the focus shifts to several other potential “aye” votes, including Sens. Mark Kirk of Illinois, Lisa Murkowski of Alaska and Susan Collins of Maine. So McCain’s for it, Lindsey Graham’s for it. Marco Rubio’s against it; Ted Cruz is against it. Now one of the remaining 41 Republican votes has broken against it. That’s not a “slam dunk” because no one’s started running to the net yet. 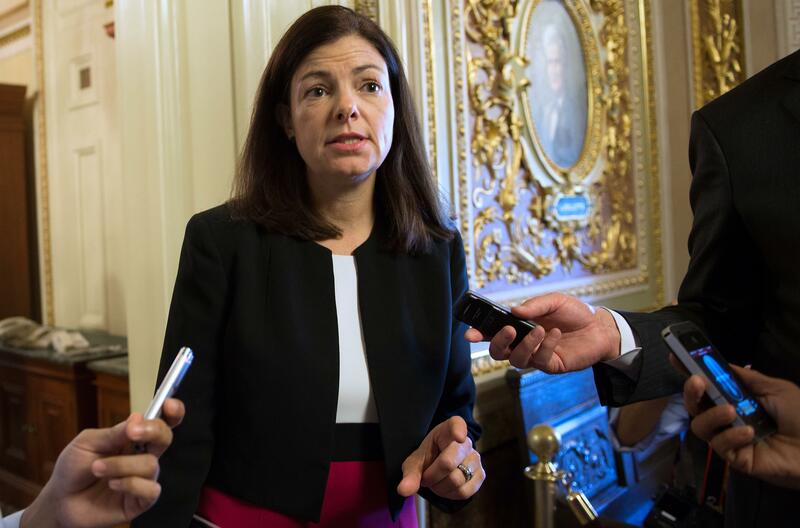 Ayotte wants a free “conservative” vote, and plenty of her colleagues will follow her, but enough to sink the bill? No evidence for that yet. The groups that claim to represent the grass roots have hardly proved that this vote will move emotions. Half an hour after FreedomWorks asked members to melt the phones of senators, and oppose the deal, only 18 calls had been reported. One factor helping move the deal through is a sense, among key Republicans, that any issue not called “Obamacare” is a distraction from the party’s best, most galvanizing election message. That’s the hangover of the shutdown; some conservatives are bitter that two weeks were spent discussing the effects of the shutdown instead of the implementation of Obamacare. What could have gone right for the party if they’d been focused on healthcare.gov on that first day, when only six people signed up?